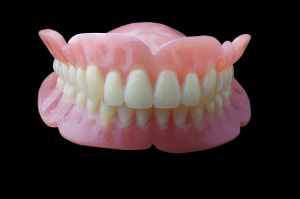 There comes a time in everyone’s life when their teeth and gums start to age, and it is time to look in to dentures. Crestridge Dental offers full and partial dentures to their clients in the Burnsville, MN area. Dentures enhance your facial appearance and smile! One thing that can change is the shape of your jaws and tissues over time. When bones change due to lack of tooth stimulation or shrink, dentures may require rebasing or relining to fit properly. So periodic check-ups can allow evaluation of fit and comfort. There is an alternative to dentures; you could opt for dental implants, which would require major surgery. Your dentist will discuss your options with you. If you opt for dentures, your dentist will walk you through the steps to care and maintain your dentures. It is very important to replace any teeth that have been removed with dentures or implants. If you do not replace missing teeth, it will affect your entire mouth. It can throw off your bite or ability to chew. Please contact us at 952-892-5050 to schedule a consultation. For more information on dentures, please visit: http://www.mouthhealthy.org/en/az-topics/d/Dentures.